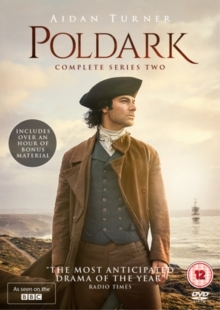 All ten episodes from the second series of the BBC drama starring Aidan Turner as Captain Ross Poldark. In this series, Poldark and his maid Demelza (Eleanor Tomlinson) prepare for the former's trial as elections and riots take place in Cornwall. Burdened with debt, Poldark also tries to improve his fortunes by opening a new mine with Francis (Kyle Soller) but George Warleggan (Jack Farthing) still appears determined to crush his ambitions.